While it seems there are a vast array of varying sleep training methods to pick from, many of them are almost identical when you read closely in between the lines. Nearly every popular sleep training method involves putting your child down awake, visiting with them in some form or fashion while they protest falling asleep, and ultimately allowing them to fall asleep unassisted. Read on to find out why sticking to a check-in time when sleep training is VITAL! How Often Should I Check-In With My Child? When your child is protesting falling asleep unassisted, I would urge you to pick a certain number of minutes for a check-in interval and stick to it. This process is then repeated overnight and for naps. It appears most babies do best with check-in intervals of at least 10 minutes apart in length, but if you feel the need to check in more often, do so. Don’t start with a shorter check in interval and work up to longer intervals – this almost always delays falling asleep. Pick one interval time and stick with it! If you choose a shorter interval time (ie. shorter than 10 minutes), know that this may also delay falling asleep as it can take the body some time to relax, and if you go to your child too soon during sleep training you may be hindering them from falling asleep. Imagine yourself almost fast asleep when your partner comes in and taps you on the shoulder to ask you a question about tomorrow’s schedule. This disruption would most likely “wake” you back up and restart the process of falling asleep over again. That’s how it is for your child. Should I Pick My Child up During Sleep Training Check-Ins? If your child is of the age where they are unable to sit up or stand up on their own, feel free to touch them during their checks, but avoid picking them up, or staying longer than about 30 seconds. If your child is old enough to sit or stand on their own, touching them during checks almost always makes things harder and leads to more crying, not less. Staying about 2-3 feet away from the crib and for no longer than about 30 seconds can often do the trick to getting your older baby sleeping as quickly as possible. 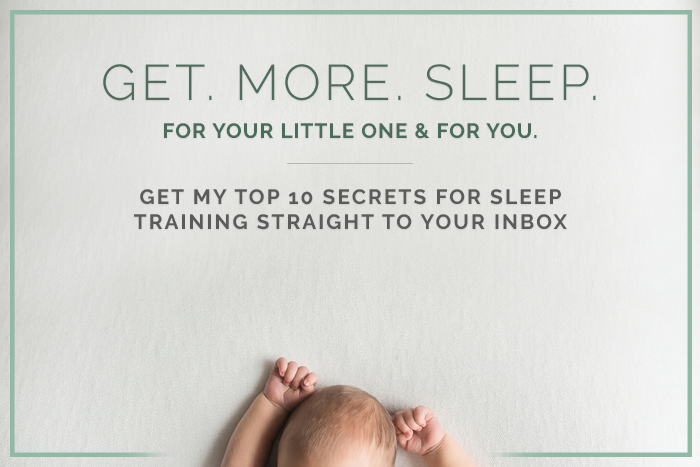 Check-ins are just one, small piece of the whole sleep training puzzle – to learn all of my success-inspiring, sleep training steps, check out my online program.